Roulette has always had an immense amount of following from gamblers everywhere – and with the latest rendition of the game, live roulette online, the sky is not the limit after all. Like any other live casino game, live dealer roulette implies the involvement of a real human dealer managing a real live roulette table in real time. All this is broadcasted through high speed and high definition live-stream video link to all the gamblers playing at any of the live dealer roulette tables. Thanks to advancements in technology, playing live roulette online has been made nearly indistinguishable from real casinos as the participants get to observe the roulette wheel being rotated and the ball moving through the wheel’s pockets. While playing live roulette online, players get to make their own decisions right on their screens which is made more realistic through the integration of other amazing features such as real-time interaction with the real-life dealer as well as other players. 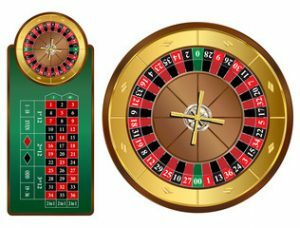 Both of these renditions of roulette are played online but they have a very significant point of divergence, that is, in ordinary online roulette, the outcome of the game is determined by a random number generator instead of a real dealer. They are usually flash-based games that are presented entirely in the form of computer graphics making them more virtual than real with the only human participant being the player. In many cases, ordinary online roulette offers a nearly realistic experience but the randomness of the number generators have often been questioned especially by players who want more assurance of fair gameplay and assured roulette payouts. As for live dealer roulette games, the model of gameplay is shifted towards making broadcasting and interaction the only online aspects of the game. Decision making and the actual gameplay are left to the participants who include the real dealer and the participants. Broadcasting is done through live video streaming technology that has seen tremendous advancements since its inception. At the moment, as far as roulette is concerned, many gamblers prefer to play live roulette online instead of ordinary online roulette that has its own pros and cons, but lacks the real authentic gaming experience that comes with live roulette online. All casino game lovers prefer to witness how roulette wheels are spun in real time. This essentially gives the assurance of the safety and fairness of a casino. In addition to this, players prefer to witness how other players react to the games as well as how the roulette payouts are handled before they can trust the online casino. 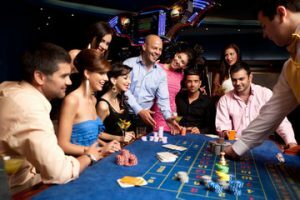 Live dealer roulette has a huge following for one more reason – real-time interaction with real people instead computer-generated characters. Interaction, in this case, is not entirely limited to the dealer alone but involves a complete social interaction package offering that allows players to communicate with each other and build relationships. That is as real as it gets. At the beginning of each game, players are required to place wagers which are then placed on the betting table. Next, each player is required to select a chip value. Players click on a specific area of the betting table until the number of chips displayed equals the amount they wish to bet. A player wins if the ball lands on a number or color that corresponds with their bet. If the number or color you have placed a bet on does not correspond with the number or color the ball lands on you lose. There are two types of bets that players can make on while playing live roulette online: inside bets which are confined to the main grid of numbers on the inside of the table and outside bets that take place on the outer edge of the table. Depending on the table minimum at your online casino, you can place the table minimum bets for outside bets. Inside bets, on the other hand, allow players to divide their bets up into a virtually limitless number of smaller bets. The dealer is in charge of moderating live roulette games online just like in a real casino. Bets can be placed right until the real dealer says it is time to stop. It is also possible to place bets while the wheel and the ball are still spinning until the dealer says it is time to stop. Betting is prohibited when the wheel slows down and the ball comes to a rest, obviously. Playing live online roulette naturally requires players to have an internet connection. However, you may need to make sure that you have nothing but the best internet connection you can find. While most casinos have mechanisms for handling connection loss interruptions that occur as you play live roulette online will definitely ruin the game for you. As far as actual gameplay is concerned, you will need to have a betting system if you intend to play to make a profit by playing live roulette online. Losses are also inevitable from time to time, so it is very advisable to play within your limits which also applies for when you are winning – set the limit and learn how to stop playing when you are still winning or when you have lost enough. Placing your betting chips on the right edge of the table is the only way of ensuring you get the right roulette payout when playing live roulette online. Losing even a single roulette payout simply because your chip is not in the correct spot is detrimental to your overall progress. But first, you have to make sure you have the working mechanism of roulette payouts at your fingertips. Roulette payouts vary from one type of wheel to another. Any gambler who wishes to get the best out of live dealer roulette, therefore, needs master the art of calculating roulette payouts of all the flavors of roulette using bets as well as the house edge to their advantage. This further involves having in-depth knowledge of the odds and roulette payouts for both inside and outside bets which range from 1 to 1 to 35 to 1. Make sure you use the correct strategy and do not over-indulge when your losses seem to be exponential.